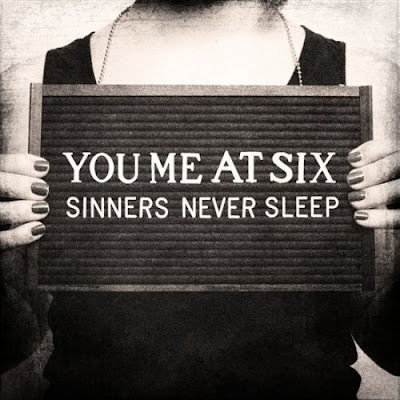 Discussions Magazine Music Blog: YOU ME AT SIX/Sinners Never Sleep: Available NOW! YOU ME AT SIX/Sinners Never Sleep: Available NOW! 2011 release, the third album from the British Alt-Rock band. The highly-anticipated follow-up to Hold Me Down, Sinners Never Sleep was recorded in Los Angeles in early 2011 with producer Garth Richardson (Funeral For A Friend, Biffy Clyro and Rage Against The Machine). The album features guest appearances from Bring Me The Horizon frontman Oli Sykes and Parkway Drive vocalist Winston McCall.